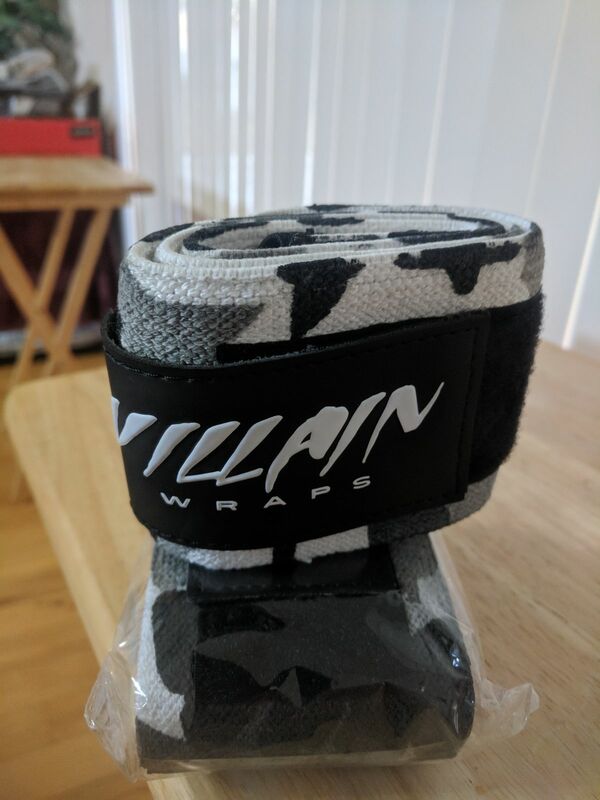 The Black Camo Villain 30" are great for Powerlifting, Weightlifting, Strongman Training, etc. These wrist wraps are the most supportive that we offer. These wrist wraps are the most supportive that we offer. BUYER BEWARE...They are also going to be bulky due to the length of the wrist wraps. These are not for the everyday gym goer! So, if you are pushing some heavy weight or just a bigger guy, then these are perfect for you. I just received my new wraps. My first day with them and hit a new PR on the log, I was at the end of a training cycle so I was expecting a new PR but the extra support gave me an extra boost of confidence and I was pleasantly surprised at the extra weight I was able to move. Thank you! I first purchased a pair of the 15” tuff wraps and I loved them. As my training progressed I bought the 30” wraps for increased support. I love them!! They offer a lot of support and the lack of thumb loop is much better than other brands. Very strong and comfortable wrist strap's. They give great support, especially when I am lifting heavy. Tuff wraps has the dam best products out there for lifting, period! Without even wearing them and just holding them in my hand out of the package you can feel the weight and quality that the wraps are made of! They also perform amazing and I do not feel any slack or wrist pain after some heavy benching.